Have you all ever wondered that why this metropolitan which is not a cosmopolitan is called as city of joy. The answer is sweet and simple as the rosogulla or the sandesh, it is the sweetness of the place and people that will just leave a mark on your hearts forever.The city has the old town feel in its building and hearts of people and modern vibe in the levels of education and thoughts of people. The city that will make you fall in love with its street food and exotic food from the 5 star hotels in the similar way. A city that has people who can sacrifice any luxuries or modern facilities just for one reason and that is the love for their city. This city embraces you and leaves a part of it in you. The most incredible thing about the city is the way it focuses on women empowerment without any extra effort! Kanyashree was started in this city where girls who have attained education upto class 10 or 12 are rewarded. Also if a girl child is born account can be opened in her name and she can reap its benefit once she turns major. Another remarkable fact is that the last rites of the deceased can be performed by the girls and breaking the stereotype it considered that if the girl performs the last rites the deceased person attains Moksha. 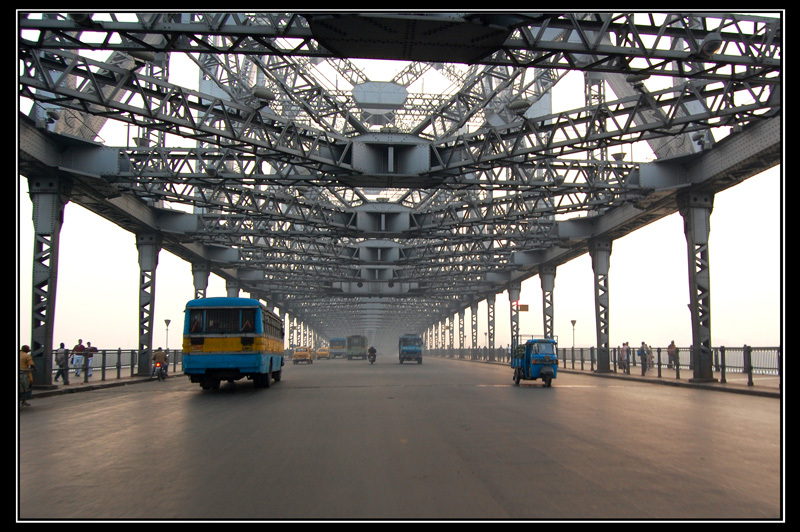 The busiest bridge over the hoogli river is the pride of Kolkata. It connects Kolkata to Howrah. The bridge is a cantilever truss bridge that there is no nuts or bolts used in the construction of the bridge. It has two sister bridges namely, Vidyasagar Setu and Vivekananda Setu. A beautiful place that can take you to the charming world of past history. 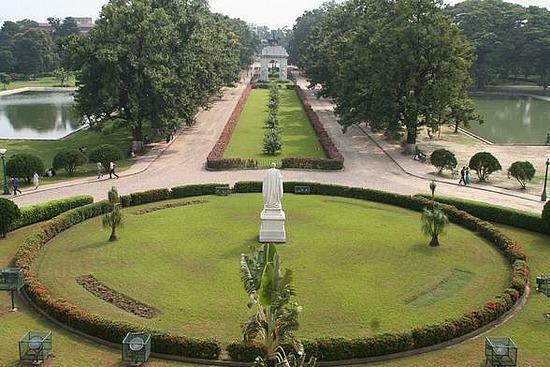 It is museum that has photos and effigies of prominent personalities who contributed to the glory of India. The museum has group of figures over the north porch that symbolizes prudence, learning and motherhood. The three character traits of any citizen of the city. 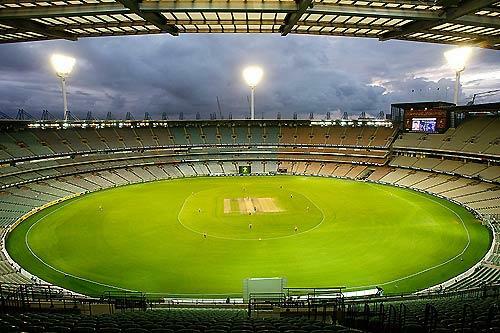 A stadium where millions have witnessed the history of Indian cricket. It is the oldest and the finest cricket ground of the country. It has been modernized from time to time and presently can accommodate large crowd of viewers. The food of this city will never disappoint you. There is something to relish for all. The sweet dishes are haven here. 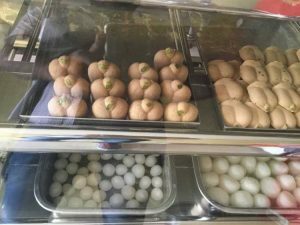 Rosogolla, sandesh, Misti doi and Patali gur are delicacies that this exports to foreign countries and boasts off its tastes. Kolkata is considered as a home to one of the best food in India,kolkata is a pot of mixed culture and cuisine from all over the world whether it is Chinese, Portuguese or Armenian,they all have formed a library of dishes, across street food, family dinners, bakeries, sweet shops and ethnic eateries. There are few places which are considered. Kolkata can also be called the city of festival and the zeal with which these festivals are celebrated cannot be explained in words. 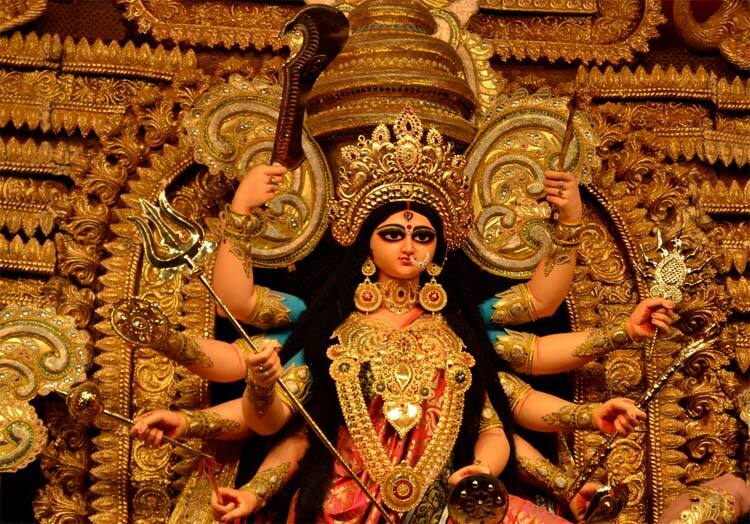 Durga Puja, Kali Puja, Lakshmi Puja, Saraswati Puja are celebrated with fun and frolic.All these festivals or any special occasion is begun with tongue ringing sound that is a pleasure to hear. These festivals are celebrated by all communities be it hindu, bengali, muslim or Christian. Even Christmas is celebrated with great pomp and show that to by all communities. The Park Street area during Christmas is decorated like a bride. In the festivals a celebration that is worth mentioning is Sidoor Khela, A red colored festival celebrated on the dashmior Bijoya Dashmi. 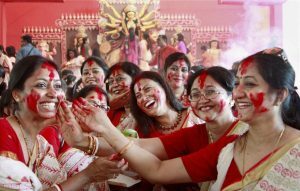 On this day all the married ladies put sidoor on the idol of Goddess Durga and then put it on the forehead of the ladies and play with sindoor. This ritual is celebrated with a cheery smile and teary eyes as Goddess will go back to her place after sending 10 days here. It is the best time to catch up friends and family. Sunderban is famous wild life sanctuary of Kolkata. It is world heritage site and a national park famous for the Royal Bengal Tiger. Apart from the tiger several other wild animals can also be seen here. This the worlds oldest and largest botanical garden with 12000 living perennial plants and millions of dried plants from all across the world. The main attraction of the garden is the giant size banyan tree that is the second largest canopy in the world. 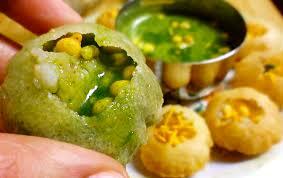 Any discussion on Kolkata is incomplete without mentioning these small balls filled with water and potato mixture. A street food that, has found its way to the gastronomy kitchen also. A savory food that any Kolkatan can swear by. Come and feel the passion of life with my city Kolkata! 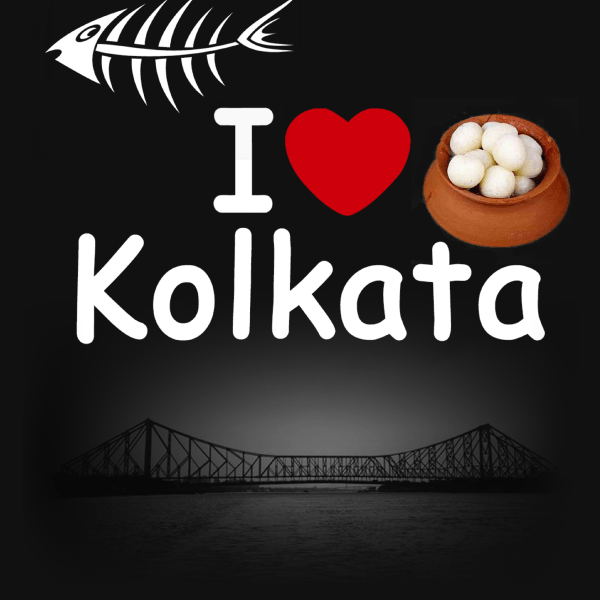 I have been wanting to visit Kolkatta for long,and after reading your post, I think I should plan our visit soon. I went there last to last year and enjoyed a alot. Now your post reminds me many of my memories related to kolkata. Now will plan again. Thanks for sharing your experience too. 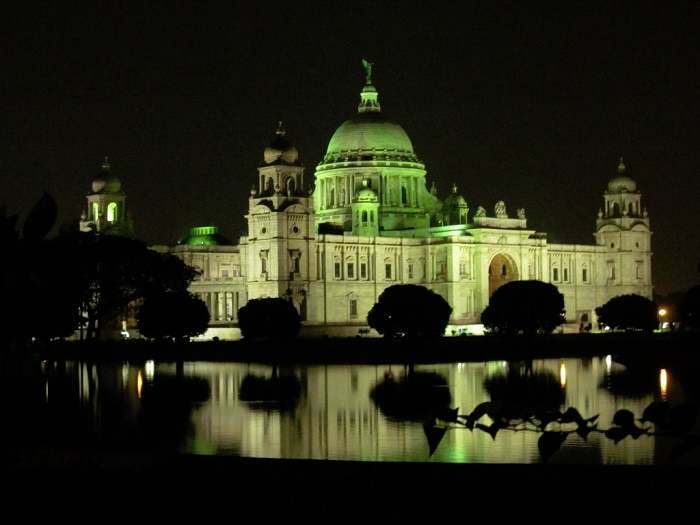 I love kolkata…I was lucky to stay there for around 6 months for my first job…I love it the most for the food and shopping options ? I always have been fascinated by this beautiful city.byour guide really inspired me to visit it soon. Beautiful Pictures & this place. Thx for sharing ! Loved it. Loved the post! so much fun and frolic happening in your city! Thank you for taking us on the tour of Kolkatta city of joy. Love it. spectacular. Yet to visit Kolkata will like to try the cuisine first! ? I’ve not been toKolkatta yet, but seeing this post makes we want to visit really soon. I have always wanted to visit the city of Kolkata. I will bookmark your post and I hope I can visit it soon. Kolkata is a load of fun in winters specially. The weather is perfect for trips to Victoria, zoo or the botanical gardens. Flurys is a family favorite. I visited Kolkata last month and it is the city of JOY. I am in love with the food and the people over there. I wish to visit Kolkata again and to have those Rasgula’s again. I am yet to visit kolkata though i have planned so many times. I love the city’s culture and food.. Will definitely gonna visit soon. Kolkata is such a beautiful place. I have visited during Durga pooja and it was a one heck of a experience. Such a lovely city and very warm to outsiders. Honestly saying even I am a big fan of Kolkata, the sceneries it has to view and the dishes it has to offer is just damn amazing, loved the blog I am definitely bookmarking it. It’s a shame that I have never been to the city of joy. But I would surely visit it. It is a perfet combination of historical values and modern charm. Beautiful city.